Relive the SSX glory days with the SSX Classic Characters Pack. 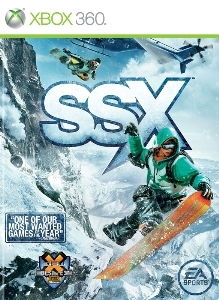 This DLC comes with 7 classic SSX characters from SSX 3 and Tricky: Elise, Mac, Zoe, Kaori, Psymon, Moby, and Eddie, each with alternate outfits and a unique snowboard. Ride in style with Eddie’s crazy shirts, Psymon’s spiky hair, Moby’s riding helmet, Kaori’s panda backpack, and more. Download the SSX Classic Characters Pack today!